My mom forwarded this to me. This UFO structure was built at last years NYC Design and Build competition. 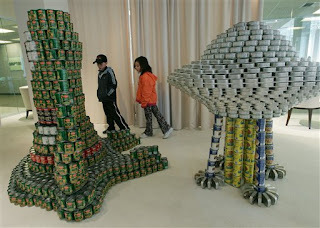 It was completely made out of cans of food. Pretty amazing, huh?